Attorney volunteer Mary Haught, client, and 1L Paul Samuel, at TSBVI Parents’ Weekend. 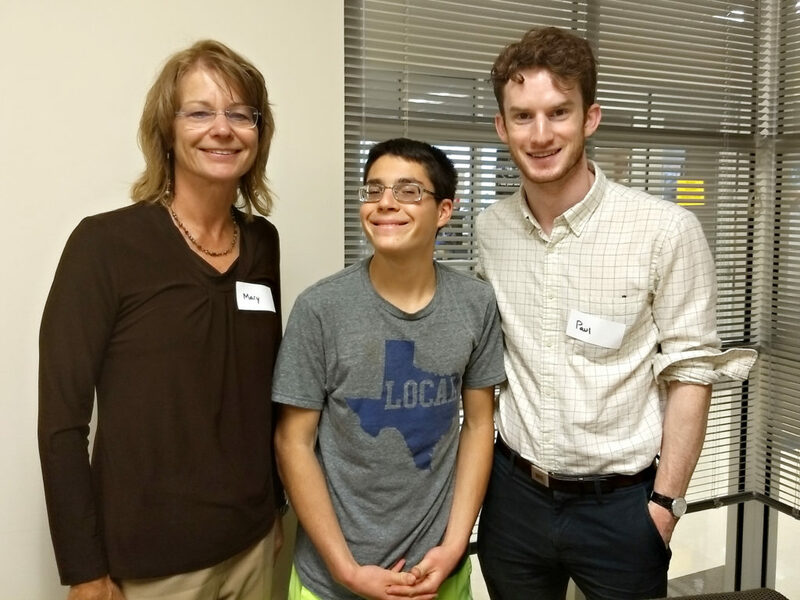 The Mithoff Pro Bono Program’s INCLUDE Project had a busy fall providing individualized counseling and direct legal services to more than one hundred persons with disabilities. 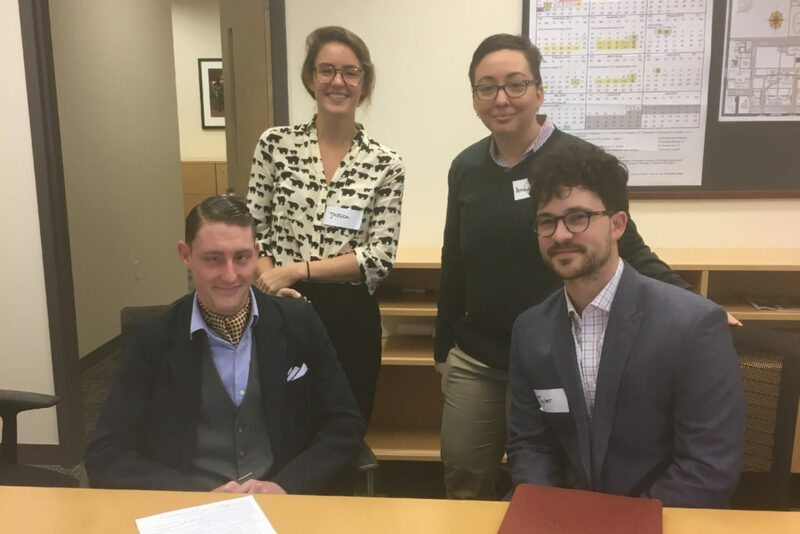 The Supported Decision Making initiative continued its partnership with the Texas School for the Blind and Visually Impaired, through which law students counsel young adults with vision impairment on alternatives to guardianship. Approximately fifty young adults have received individualized counseling sessions through the INCLUDE/TSBVI partnership in the past two years. 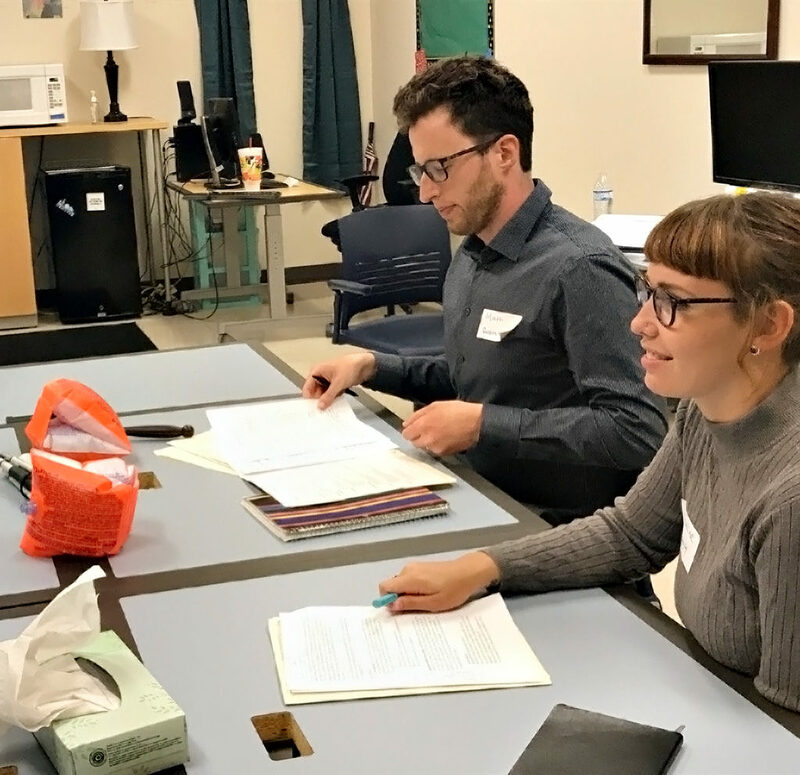 Law students returned to the TSBVI campus twice in the fall to meet with students and to provide services during the school’s parents’ weekend. Parents of TSBVI students had travelled from all over Texas to visit the school, and law students met with students and their parents to assist them in executing documents obviating the need for guardianship. TSBVI client, 1L Jessie Tremayne, attorney volunteer Amanda Traphagan, and 2L Tyler Ames. Traphagan, Texas Law ’08, has volunteered with INCLUDE for three years. 1Ls Matt Popkin and Madeleine Mashon counsel their first client at TSBVI.